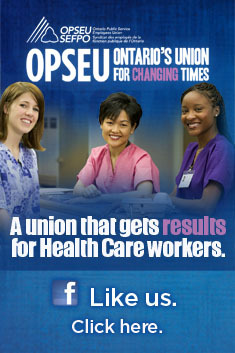 OPSEU represents about 36,000 health care professionals and support staff who work in settings ranging from community mental health to large urban hospitals. When it comes to this BLOG, we don’t hide our perspective as workers. We hope that those who read our BLOG do so with the understanding that the stories we write about and the positions we advocate are with the intent of building a better public health system. We are aware that not everyone shares that goal. Since Medicare was founded, there have always been those who would undermine it, and sometimes it makes for odd bedfellows in the opinion pages. Sometimes we need to ask ourselves, are we building on Tommy Douglas’ legacy, or are we tearing it down by only pointing out the system’s weaknesses? It was therefore refreshing to see a letter this week in the Windsor Star by health reporter Veronique Mandal that points out what we hear too seldom – for most of us, the health system still works. “As a health reporter, I have written hundreds of stories about Canada’s health system – some were laudatory, many showed its shortcomings and failures,” she writes. The public letter goes on to thank the “doctors, nurses, admitting and technical staff” at Windsor’s Hotel Dieu Grace Hospital who saved her life April 20. Mandal doesn’t specify what her medical emergency was. At Diablogue we often write about hospitals being overcrowded, cuts to cleaning and its impact on infection control, unhealthy and inedible rethermalized food, poor performance scorecards and the perils of privatization. At the end of the day, however, most hospitals still score above 90 per cent in patient satisfaction surveys and Canadians are still embracing our public Medicare system. For all the problems, we’re obviously still doing some things right. This does not mean that everyone is getting the care they need, or as the province likes to rhyme off, we’re not finding the right care in the right place at the right time. Not yet. Letters like Mandal’s do remind us what we are fighting for. This entry was posted in Health System and tagged Hospital performance, Medicare, Tommy Douglas, Veronique Mandal. Bookmark the permalink.